Did You Know This About Graphic Design? Graphic Design is not only a creative subject, it is interesting too! 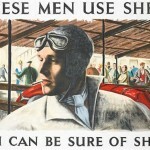 There are several facts and figures about the enigmatic history of graphic design that would take even a seasoned graphic designer by surprise. From the disputed coinage of the very term ‘graphic design’ to the recent development of Photoshop, a popular graphic design software, the history of graphic design has had many a twist and turn on its way of becoming one of the most progressive and commercially popular art forms of the day! 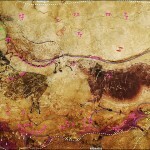 The first traces of graphic design can be attributed to French cavemen, with symbols and pictorial descriptions etched in the caves of Lascaux, France. 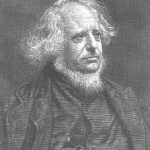 Sir Henry Cole, an Englishman, designed the first Christmas card – one of the pioneers in advocating the commercial and artistic importance of graphic design in Europe. His leading force made graphic design an accepted art form in mid-19th century Europe. 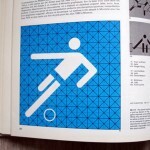 Who invented the term graphic design? 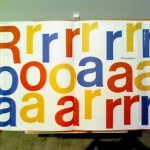 Some say its Brit designer Richard Guyatt while others disagree, calling William Dwiggins as the inventor of the term! The London Underground signage was a major inspiration for developing graphic design further, including font types and design examples. In the 1920s, in post-revolution Russia, graphic design took concrete shape as objects were designed for utilitarian reasons. This was when it was use widely, especially as logos, posters or even graffiti for clothing and on buildings. Paul Rand, an American design genius, laid the foundations for graphic design as used for establishing a corporate logo or identity in the 50s and 60s of the 20th century for many industry bigwigs such as IBM, ABC and UPS. Paul Rand was also responsible for developing the Swiss Style in graphic design – which emphasizes on readability, neatness and objective approach towards graphic designing. Apple was the first in line to produce computers that incorporated bitmap graphics – the origin of modern computerized graphic design! Today, almost every aspect of modern life – from road signs to imagery on Boeing 747 passenger jets carry elements of graphic design embedded within. With these fun facts in hand, try out your next project in graphic designing. I’m sure you will have found an unearthed source of energy and vigor, along with a desire to emulate some of the names mentioned earlier! This entry was posted in Design Tips and tagged Graphic Design, graphic designer, history of graphic design on August 25, 2009 by ulki.